Rollover in definition is a process of reinvesting retirement funds from one plan to another without suffering tax penalty consequences. Rollovers may occur under various scenarios, for example, when moving from one company to another or when rolling over funds from a company sponsored 401K plans into either traditional IRA or Roth IRA account. In order for us to compare traditional IRA rollover to a simple IRA, we need to define the main feature of these retirement planning tools and how they vary from one another. Simple IRA is not that “simple” at all and stands for savings incentive match plan for employees. Simple IRA is generally offered by smaller companies who can not otherwise afford sponsoring traditional 401K plans for their employees. Simple IRA plan allows smaller businesses to offer retirement saving opportunities for low administrative fees and is carried out through payroll deductions similar to 401K accounts. All contributions within a simple IRA account are tax deferred or, in other words, tax deductible, however tax is due upon distribution. 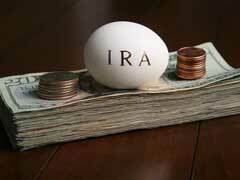 Traditional IRA account is an individual plan for retirement planning that is also contributed with before tax money. All contributions and traditional IRA rollovers are tax deductible and are subject to age limits. You can not contribute to a traditional IRA if you are over the age of 70 ½ and you might be subject to a 10% penalty if you opt to withdraw some of your contributions before reaching age 59 ½. Traditional IRA rollovers could be tricky and not knowing all the consequences before engaging into such transactions might cost you losing tax benefits. If in doubt whether a traditional IRA rollover is financially sound for you, always consult with a professional retirement planner to make the most tax savvy decision. A financial planner can also help you compare Roth IRA rollovers and whether they will optimize your retirement savings in the long run. Each traditional IRA rollover is unique and many accompanying factors must me taken into consideration before deciding whether it’s right for you. To learn more about no fee Roth IRA, check out our article on this topic.